Freelancers all have the same underlying issues; tracking hours and billing clients. Often, the solution comes via a patchwork of disparate apps and services, but Harpoon is hoping to change all of that with a suite that includes financial planning, invoicing and hour tracking. 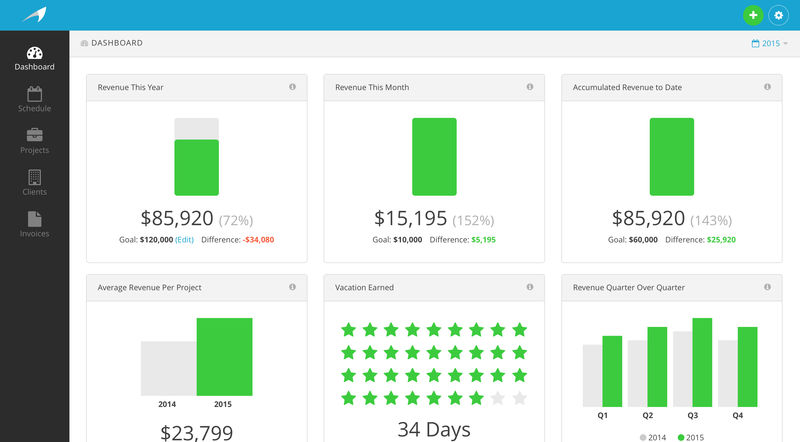 Harpoon lets its users track hours spent on projects, set financial goals, track revenue, and invoice clients. When an invoice is sent via Harpoon, you’ll know when it was viewed. Information is extrapolated from data you enter (like time worked on the project) so you won’t even have to take time to manually create an invoice. Harpoon has also partnered with Stripe to handle billing, and each invoice includes a link to pay online. Harpoon tells us it doesn’t take a cut of your income for the feature; you only pay Stripe’s processing fees. To help with juggling multiple projects, Harpoon has a built-in time tracker which also allows you to tag what aspect of a project you might be working on for better invoicing. When it’s time to be introspective about how you’re doing, Harpoon has tools for internal monitoring as well. 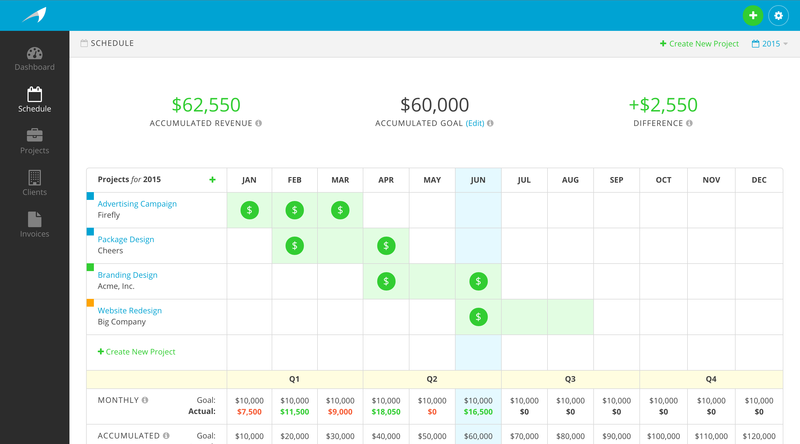 You can track your overall income and compare it to financial goals you’ve set — which lets you know if it’s time to take on more work. There’s also vacation tracking (seriously, freelancers, take time off) and the ability to see what you’re earning per-hour. While today represents the launch of Harpoon, co-founder Ryan Battles says several hundred users have been testing it for months, giving mostly glowing reviews. Pricing starts at $19 per month which gives you support for up to 15 clients. The $25 per month plan lets you track up to 25 clients, while the $49 per month plan lets you track an infinite amount of clients. All plans let you create unlimited projects and invoices.